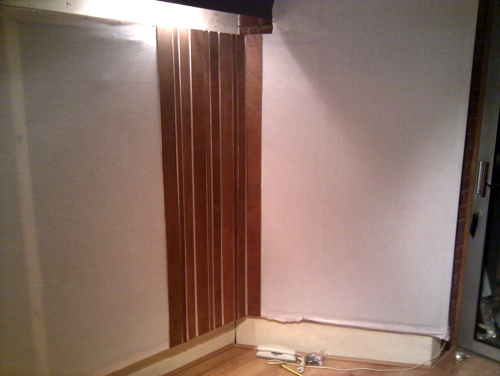 My home studio was long overdue an acoustic refit. I had a window of around two weeks in which I could get it done without affecting my workflow so I decided that it would be a good time to rip it all out and start again. 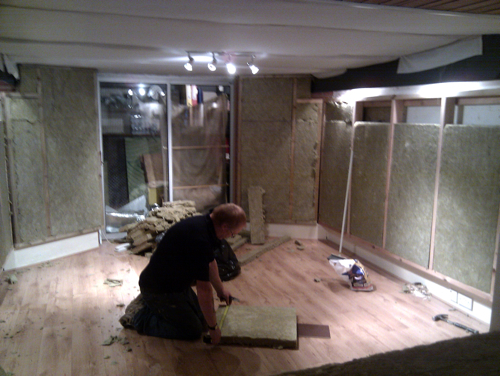 Step one of the refit was to remove everything from the room and rip out any existing acoustic materials. 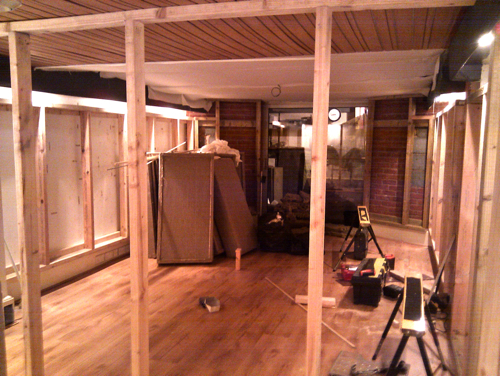 Once this was done we started with the ceiling. 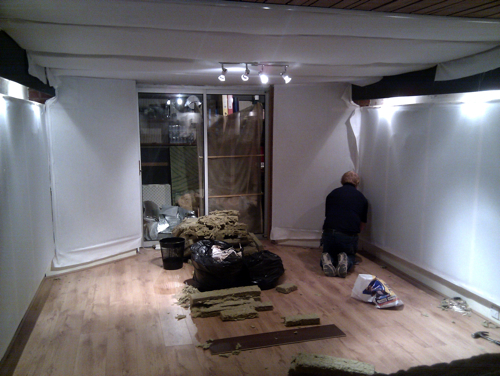 The ceiling already had a 2″ thick covering of Rockwool RW3 50mm 60kg3/m (you can use Roksilk RS60 as an alternative). We (me and Dave the builder) added another 2″ to make it 4″ deep. 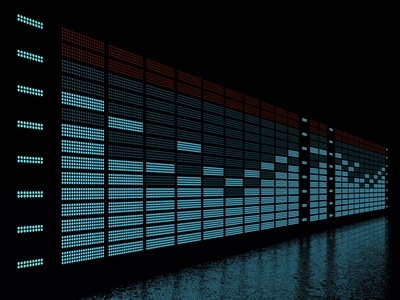 This gives the effect of making the ceiling acoustically ‘invisible’ creating the ‘acoustic illusion’ of the ceiling being much higher than it actually is. We used string to hold the RW3 slabs in place. I re-used some RW3 I already had which is why some of it looks a bit crumbly around the edges. This doesn’t affect it’s acoustic performance in any way. 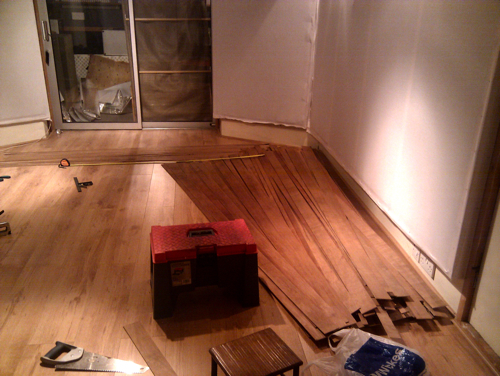 Next, we covered it all with material. We used calico – a breathable cotton fabric readily and cheaply available from any supplier. You can use pretty much any fabric as long as you can breathe through it without it offering much resistance. 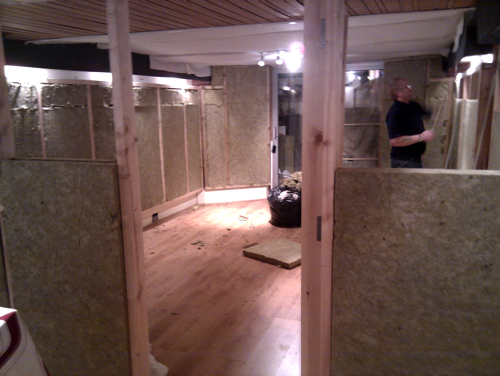 Calico is good because it’s breathable and yet has a tight enough weave to hold the rockwool fibres in. 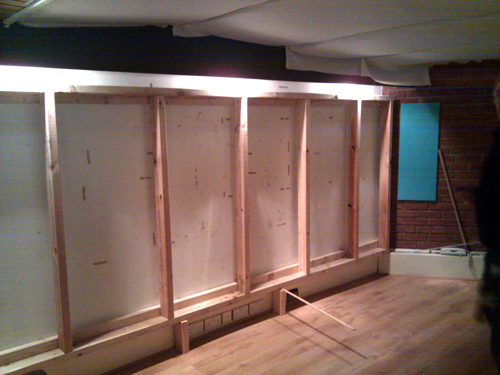 We built 6″ deep wooden frames for the walls to hold 4 inches of RW3 with a 2″ gap behind it. 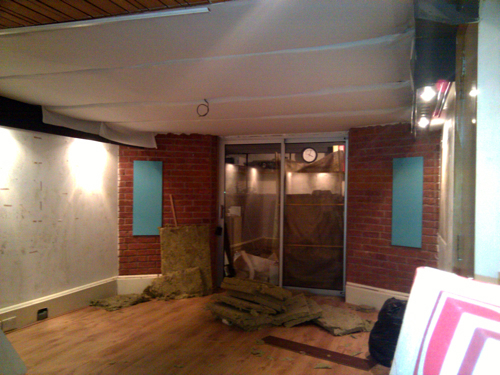 We didn’t build the frame to the full height of the walls because that would have blocked up the air vents and all the lights around the perimeter of the room. I changed the dimensions of the room to golden ratio proportions. 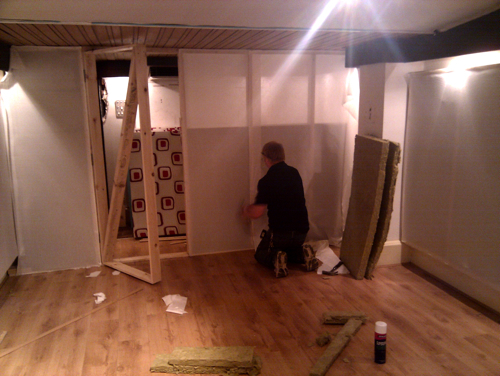 This meant building a new stud wall at the back of the room. We used the same principle as for the walls only this time the frame was 4″ thick rather than 6″ as we didn’t need the 2″ gap behind the RW3. 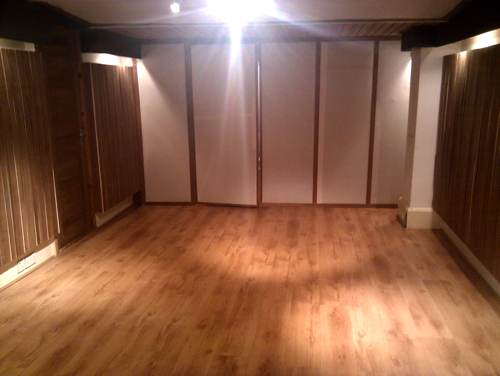 Changing the dimensions of the room gave me a 5 foot space behind the new rear wall effectively making the whole of that space into a huge bass trap. I use the extra space behind the new back wall as a computer room. I bought extra long repeater cables so that I could have the monitor screens, keyboard and mouse in the main room but the (noisy) computer and external hard drives in the other. 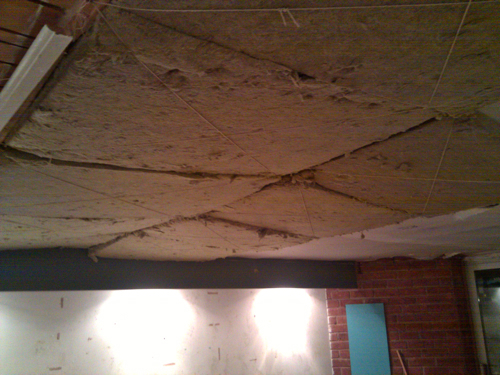 Once all the RW3 was in, we covered it all in the same breathable calico as the ceiling. The material was stretched tight and stapled onto the frame using a staple gun and 14mm staples. 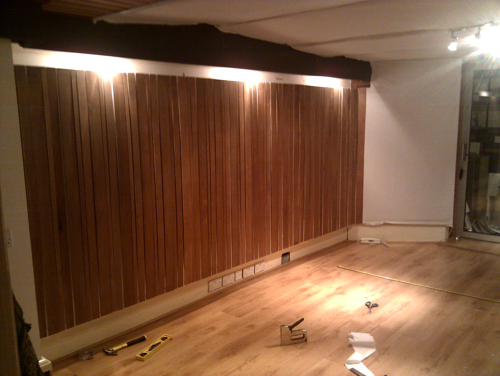 We had 4.6mm wooden slats pre cut at the builders yard into strips of 3″, 2″ and 1″. They had to be stained and left to dry before we could put them up. 3″ slat – 3/8″ gap – 2″ slat – 2/8″ gap – 1″ slat – 1/8″ gap. 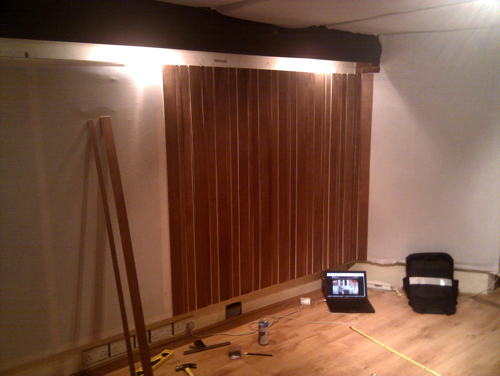 The gaps act like a broadband bass trap allowing sound to be absorbed into the RW3 whilst the slats reflect sound back into the room to maintain a natural ambience. This pattern was repeated throughout. 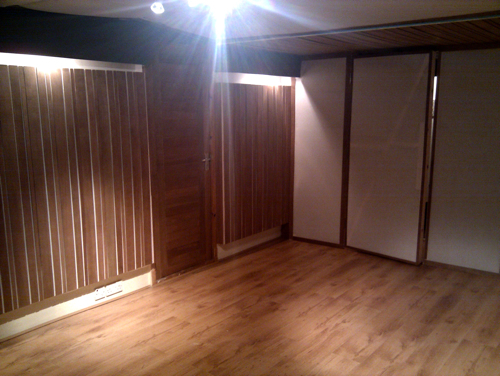 We used some of the slats as trim to finish off around the back wall, the back door and the side door. This is purely cosmetic. 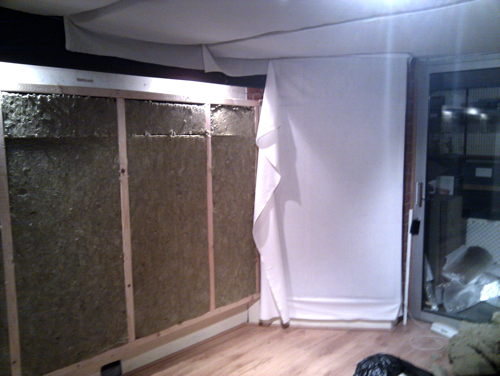 I placed 4″ thick broadband absorbers, 4ft x 2ft and made with the same Rockwool RW3, at the early reflection points on the left and right walls to ensure there are no issues with comb filtering at the sweet spot. 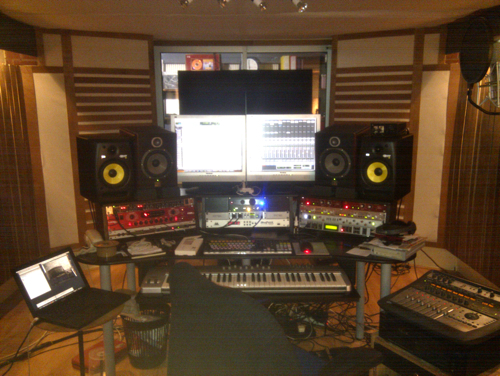 My studio sounds pretty amazing now. The room sounds tight and focused. 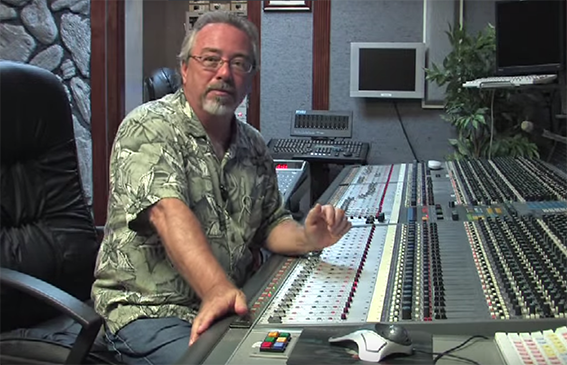 Bass response is exceptional even on small nearfields. 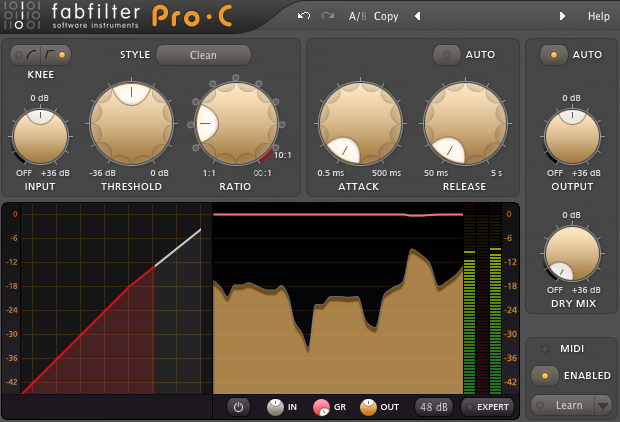 It’s easy to create detail in a mix and I have no issues with comb filtering, flutter echo or phasing. 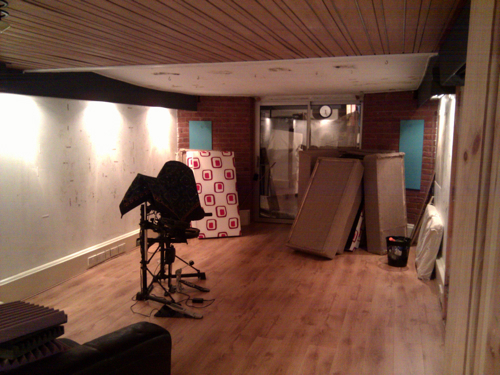 The only issue I had in the finished room was a couple of dB boost at around 200Hz to 250Hz. I used the IK Multimedia ARC system to flatten this out – making the overall response of the room pretty much as flat as a pancake. 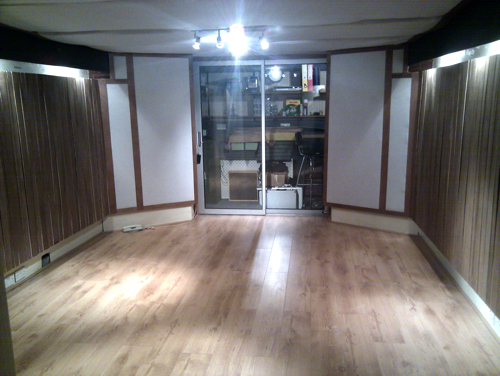 If you’d like more detail on any aspect of how and why I refitted my studio feel free to drop me a line.